That monstrosity in the center costs $1,395. 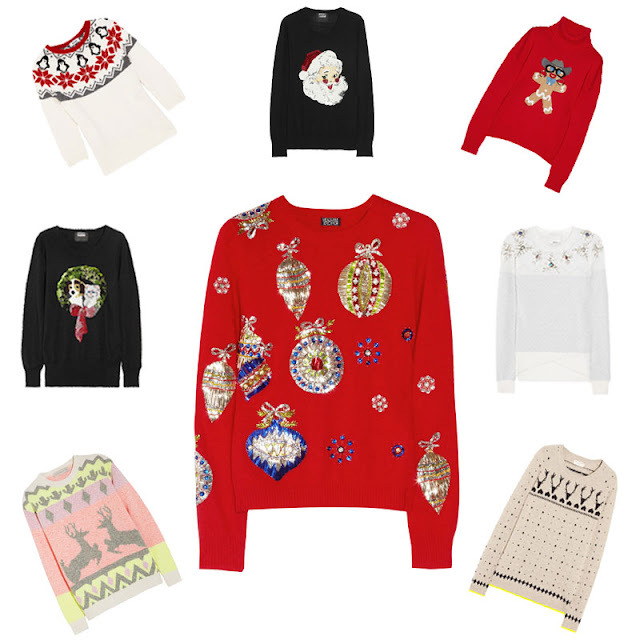 Yes, you read that correctly: Meadham Kirchhoff and a bevy of other high-end designers are trying to convince fashionistas that a fugly Christmas sweater is roughly worth its weight in platinum. That's nutso!!! How much?! What were they on, and did they OD on mulled wine or something? There are fun Xmas jumpers and then are those that just don't work. Reminds me of that jumper Colin Firth's character mr. Darcy wears in Bridget Jones, lol!